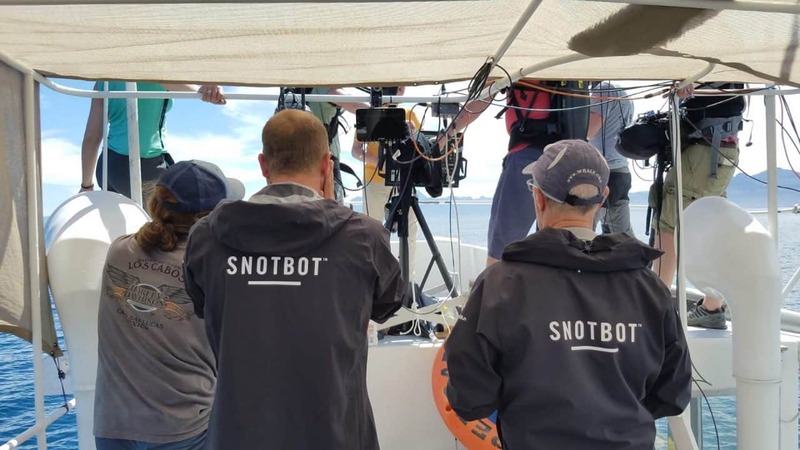 What an adventure the Blue Plant Live shoot has been – it’s been an absolutely amazing experience for the SnotBot team and it’s snot over yet :)! EarBot is live this Sunday (show #4) at 20:00 GMT on BBC 1 BBC Blue Planet Live. 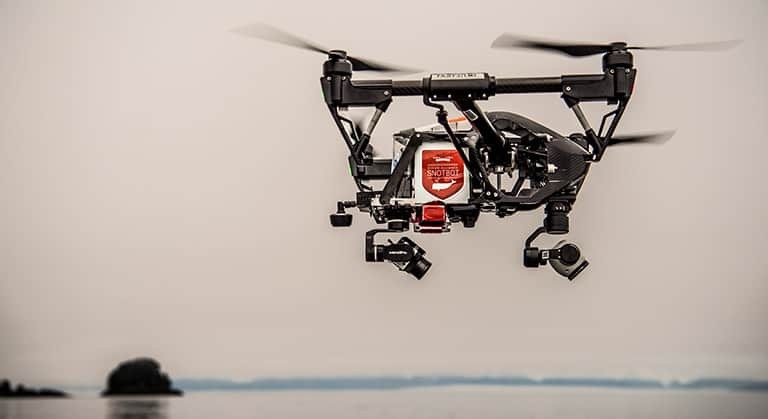 If you missed the SnotBot show (# 2) I will let you know how and when you can see a non-live version; it is coming to BBC America and other media outlets. BBC did have some transmission issues during our live shoot, but I take my hat off to the whole team. I have been told that this was the biggest live production that the BBC has ever done. 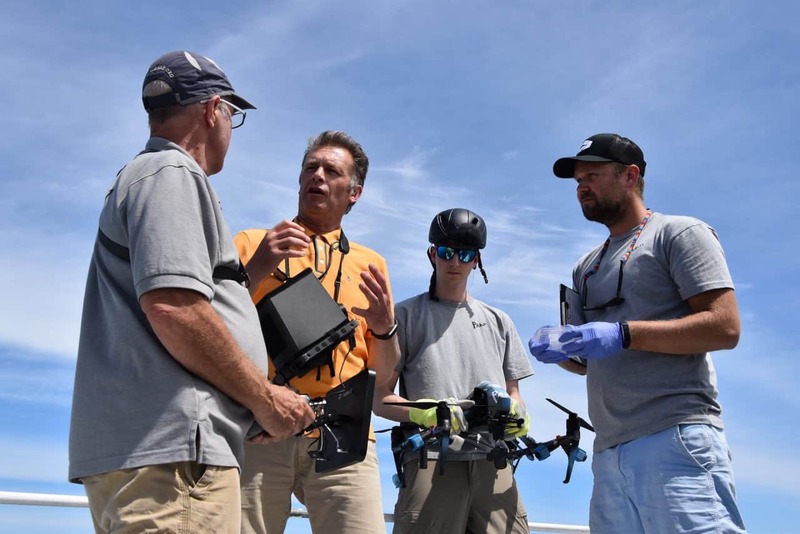 To give you an on location perspective of this undertaking, there are 33 people in the BBC Baja team, 3 people in the helicopter team, 3 local small boats and drivers, and of course the 3 person SnotBot team (missing Christian Miller). Grand total, 42 people! Clearly shooting a live show is far more complicated than a regular documentary. I think that the BBC production team for “The Equator from the Air” (still to be released) who joined us in Gabon, West Africa, had a total of 6 people. The ShotOver boat crew (I talked about the amazing ShotOver camera in an earlier blog) – they took shots of us on the boat from the water and amazing wildlife shots. Typically I lead with expedition logistics, so it is hard for me to express how much of a pleasure it was to watch others doing this job, and doing it so well. However you cut it, managing 42 people in the field is a logistical nightmare, and the fact that they kept pulling off the impossible was amazing. My wife can tell you I am not a morning person; well I guess my future is not in live TV. For two days in a row we had to be at breakfast at 5:00 a.m. and on the live day at 4:30 a.m. We did get to see some more spectacular sunrises at sea, though, and the shore scenery was always spectacular. There was rehearsal day before the live segment, not just for our location but for all of the different connections between the two other live teams and the studio in London. I take my hat off to Chris Packham — his ability to remember boat loads of facts and then eloquently reiterate them on demand-live was quite phenomenal. For those of you who missed the live SnotBot show, the satellite uplinks were not kind to me. Chris Packham introduced me as one of his favorite scientists, and then we lost the uplink. Andy had a great segment on the science and data later in the show, so we are all good. 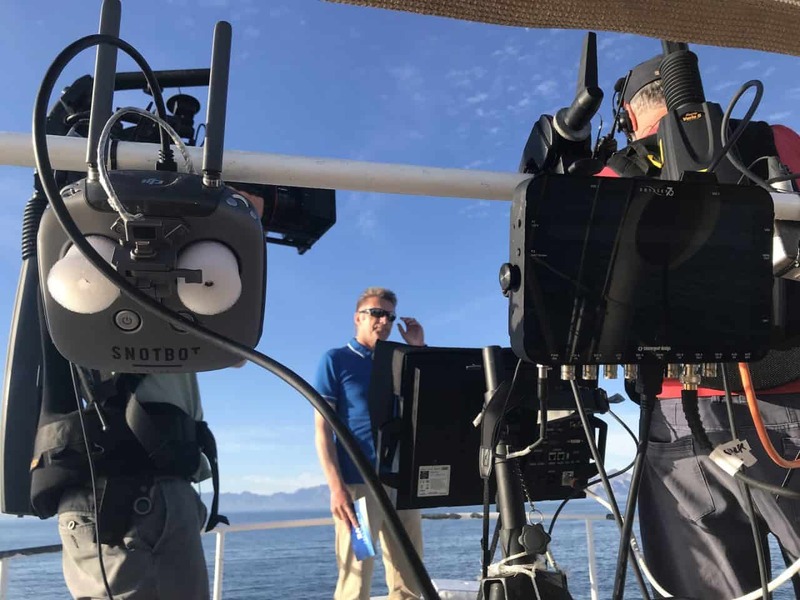 If you get a chance please watch the show; we did find a couple of blue whales on the live day but they were out of the satellite uplink range so no snot collection live, but they ended the show with a cut to a snot collection we made during the live rehearsal. 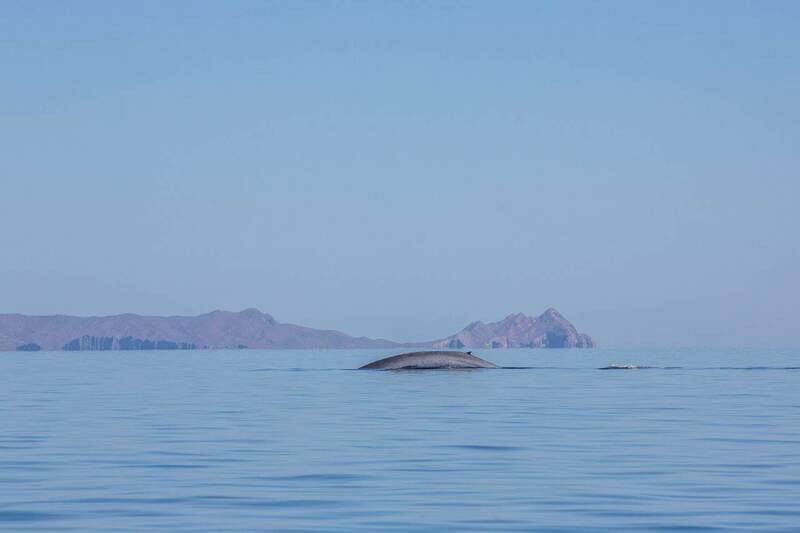 I like to think that we did collect blue whale snot live but it was only watched by the producers in London and the Baja team. In one of those bizarre situations, it turns out that the sample we collected during the live rehearsal is the most productive blue whale snot sample we have collected to date. Andy said that the liquid was so gummy that he had a hard time sucking it up with the micro pipette. I have attached the actual snot collection video short that appeared during the show. 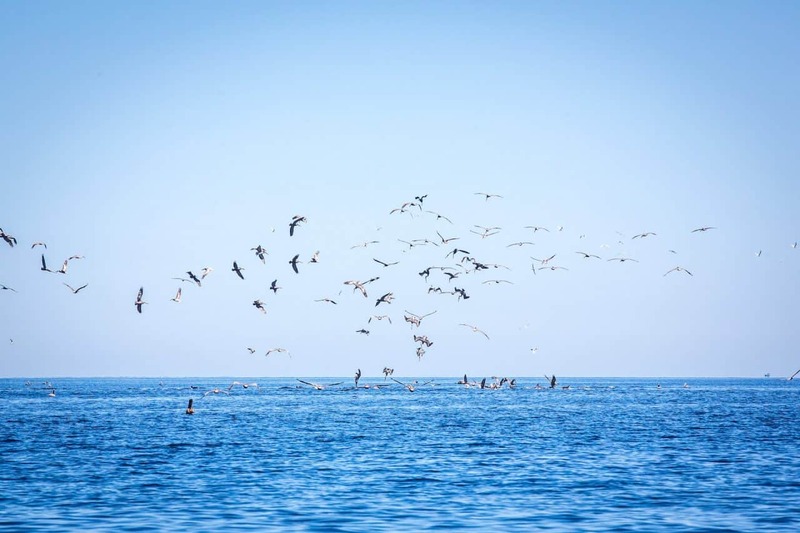 The Sea of Cortez is one of my favorite places to work; every day on the water held new and different wildlife encounters. 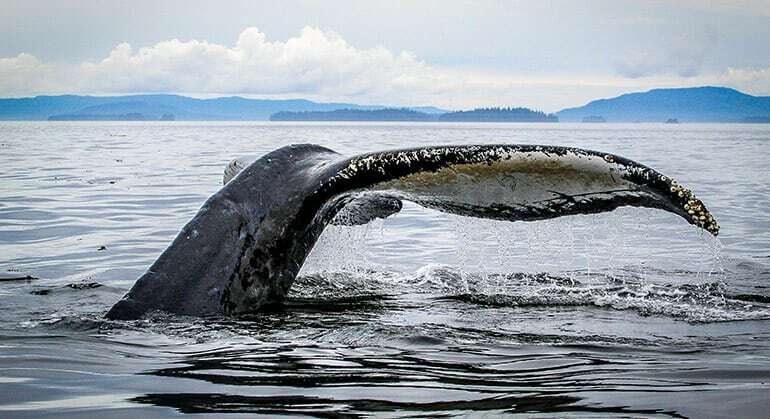 Chris Packham quoted Jacques Cousteau, who called the Sea of Cortez “The Aquarium of the Pacific.” I have run sperm, humpback, blue and gray whale expeditions here. 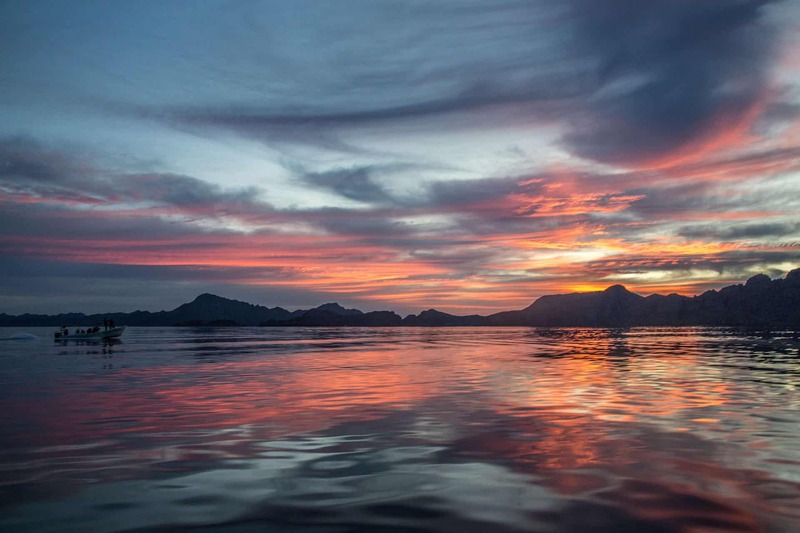 When you are out on the water, there is always enormous biodiversity, from concentrated bait balls of fish that attracs all sorts of wildlife including diving birds, to Mantas, turtles, dolphins, whales and whale sharks and so on. 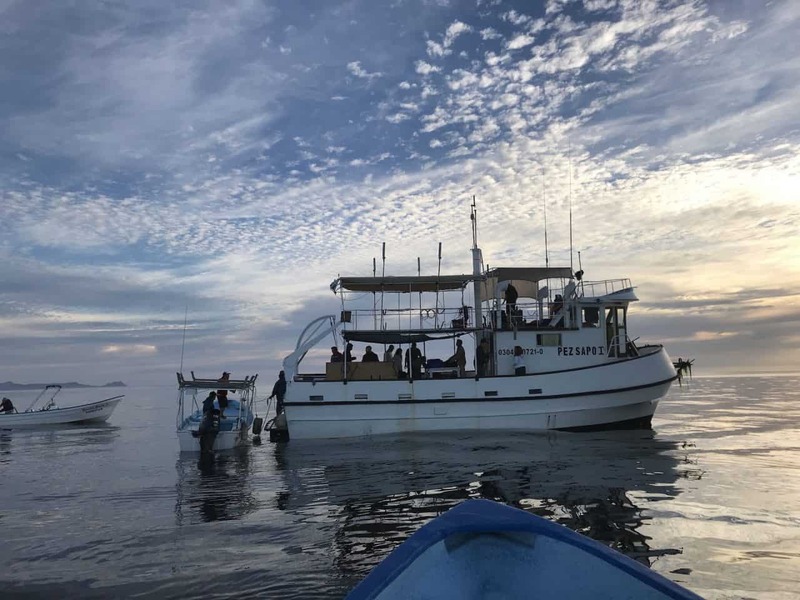 I have attached a few photos of the team working and some amazing Sea of Cortez wildlife, apologies that I don’t have the capacity at this time to label them all. Of course we missed our good friend Christian Miller, but Andy and the rest of the team stepped up to the plate with the attached photos. I want to end by applauding the BBC Blue Planet Live team again: What an incredible effort. At dinner one night the director said that the goal of this show was to be ambitious and push boundaries; they did than and the some!